The heart is one of the most vital organs inside the body as it provides our muscles and organs with oxygen as well as other nutrients. To better understand how the heart works, you should know that there are 4 chambers, the 2 atria chambers which take blood in and the 2 ventricles which push blood out. There are also 4 valves in the heart which control the flow of blood into one chamber, and out to the body. These valves only open in one direction to prevent blood from flowing in the wrong direction, this keeps the heart working properly. When the heart is working properly, the blood is pulled into the two atrium chambers and then pushed into the two ventricles, and finally pushed to the rest of the heart. However, some have problems with one of the valves not closing properly and allowing blood to leak back into the atrium. The most common valve to have problems is the mitral valve on the left side of the heart between the atrium and ventricular chambers. If there is a mitral valve leak, the blood is pulled into the atrium, then pushed into the ventricle, and the next time the atrium pulls in blood, the leaky mitral valve allows blood to be pulled back into the atrium from the ventricle. There are two reasons that can cause a leaky heart valve. It could be due to an abnormal mitral valve, or an abnormality in the ventricle. Either of these causes will allow the mitral valve to fail upon closing and allow the blood to regurgitate back into the atrium. However, there are other causes to be concerned with as well, such as illness and damage which can cause abnormalities to occur in either the valve or the ventricle. Mitral valve prolapse is caused by the stretching of the cords which control the mitral valve and allow the valve itself to be slightly pulled into the atrium. Damaged tissue cords due to injury to the cords or due to surgery on the valve itself are threats as well. Rheumatic fever from untreated strep throat, endocarditis, heart attack, and even trauma can cause damage to the mitral valve allowing the valve to leak. If you are concerned about the possibility of a leaky heart valve, you should be aware of the various factors that can be considered before seeing your doctor or getting tested. The first factor that should be considered is your past history with mitral valve problems. Were you previously diagnosed with valve problems or had surgery to repair the mitral valve? You may even want to consider family history of heart problems or mitral valve problems. Another factor that may be considered is whether you have had heart trauma before. This could include a heart attack or even heart disease, either of these can affect the mitral valve and provide you with good reason to be concerned. Next, you may want to look at your medications as some of them can increase your risk of mitral valve problems. Many of the medications that have caused problems in the past have been removed from the market, but if you possess any of them from before they were taken off the shelves then you may want to dispose of them properly and consult your doctor. Infections are another concerning factor such as rheumatic fever or endocarditis, since these can cause inflammation of the heart, the valves can be damaged or affected. Finally, age can play a huge role. Natural deterioration of the cords controlling the valve may provide you with enough cause to get checked out. Many doctors will diagnose a leaking valve as a heart murmur and suggest you see a cardiologist for an echocardiogram. Other times, you may need to speak to your doctor about the symptoms you are experiencing to help them find the leaking valve. Working closely with your doctor is one of the best ways to ensure a valve leak can be discovered. You should always discuss any problems or concerns with your doctor, no matter how small. There are other signs, asides from the doctor discovering the problem him/herself, which show that the valve in the heart is leaking such as shortness of breath when doing normal daily activities, and even when laying down. Other symptoms may even include some swelling or retention of fluid in your legs and other parts in the body. You may even notice lightheadedness or fatigue for seemingly no reason at all. Some people even experience a rapid heart rate or feel the heart fluttering and palpitations. Each of these symptoms can help your doctor diagnose the leaking of the mitral valve and determine the severity of the problem. Many of these symptoms will be noticed by those with more severe leaks than those who have minor leak issues. It is caused by the exertion of the heart attempting to keep up with the supply and demand of blood flow to various areas of the body as well as the blood flowing backwards into the lungs. Some people even feel the extra weight in their lungs when their heart leaks blood backwards into their circulatory system, creating the shortness of breath and leading to the lightheadedness. You should also be aware that you may experience the symptoms of congestive heart failure as well as the symptoms of the mitral valve malfunctioning. Although mild mitral valve leaks may not cause any serious problems or draw any attention to itself at routine doctors’ appointments, severe leaks can cause a multitude of complications. For example, heart failure is a huge risk with valve leaks as your heart won’t be able to properly supply what your body needs. It is kind of like standing on an assembly line where people are passing boxes down from one end of the room to another. As the boxes move along, the supply is being met at the other end with complete efficiency. However, if someone in the middle of this line is putting two boxes on the floor in front of them before passing a box to the next person in line, the supply is no longer being met. This is what is occurring in the heart of someone with a valve leak and depending on the size of the leak, it can put a lot of strain on the body. 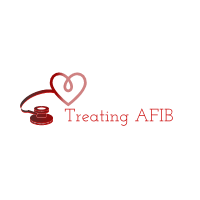 Another complication of valve leakage is persistent atrial fibrillation which would be caused by the atrium of the heart becoming enlarged in the attempt to meet supply and demand within the circulatory system. This causes an irregular rhythm of the heart and may even allow blood clots to form which can do damage to other parts of the body. If you have been officially diagnosed with a leaky valve within your heart, there are two ways that the surgery can be performed. The first way is the oldest known way to perform the operation using open heart surgery. This is done by cutting a 12 to 14 inch long incision in the center of the chest, then cutting the ribs from the sternum before completely opening the chest cavity. This huge opening allows the doctors to then perform their work of properly correcting the leak before closing everything back up. Not only does this take patients months to heal, but you will also possess a massive scar in the center of your chest. The newest way to perform this valve correction surgery is through the use of robotic arms which the doctor will control. This robotic mitral valve repair option will only leave a few small dime sized scars and decreases the healing time for the patient. Small holes are cut into the ribs where the arms of the robot, a camera, and other necessary equipment are inserted. The tiny arms will access the heart, cut away the enlarged mitral valve section, suture the valve back together, as well as sew a ring into place to prevent a reoccurrence of the leak. This is not only minimally invasive, but will allow you to recover from the surgery much faster. There is a major difference in the healing time for each surgical option. Open heart surgery method of fixing the valve leak can take between 3 to 6 months to heal depending on age and health. However, the option for robotic key hole surgery shortens that healing period to approximately 3 weeks. Either option is available, however, the option to choose between one over the other may or may not be available depending on the resources your doctor has available and the equipment they have access to at the time of your surgery. Many doctors however, are highly recommending the surgery to be performed robotically as it is much more precise and shortens the healing time dramatically, allowing the patient to start doing what they want much quicker.